Modern marketers understand that quality, engaging and relevant content is at the core of any integrated digital marketing strategy. After all, in a world where consumers are increasingly self-directed in researching their options to make purchasing decisions, that quality, engaging and relevant content aids their journey and decision-making. It depends on your objectives. It depends on your brand or product’s maturity in the marketplace. It depends on your content ecosystem. It depends on the “content of the content.” And it depends on your lead nurturing capabilities. As a result, strategic decision-making is crucial, otherwise your content may never see the light of day. 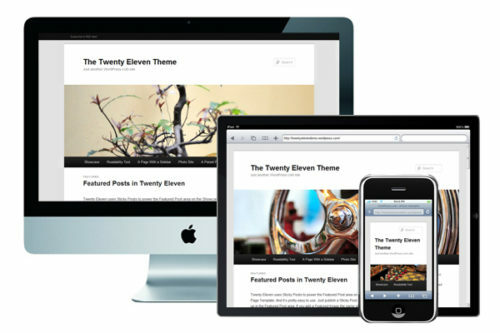 With that said, there are several situations where we believe gated content should be left off the table. #1 – When you’re looking to build brand awareness. If you’re an emerging brand or part of a younger or smaller company, brand awareness is an important step in building your audience. By providing your prospects with great, accessible content throughout the funnel, you can plant seeds and strengthen your perceived value—which can pay off later. For more established brands, you know that just because you have high visibility and a strong reputation doesn’t mean a focus on brand awareness is no longer necessary. Awareness is still key for growing your audience, staying top of mind or gaining share of voice when a new product or service is released into the wild. So, if you’re creating content with the goal of strengthening awareness at the top and middle of the funnel, leave it ungated. #2 – When your brand, product or service is new to market. This point is particularly important for startups or rising brands in a competitive marketplace. For those pioneering a new field, you’re likely up against little to no demand for your product or service—meaning you’ve created a solution for a problem your audience doesn’t know they have yet. So, how can you expect someone to “pay” for content if they don’t know anything about your purpose, function or value? For those rising brands in more established sectors, you’re likely competing with well-known or long-standing brands the same share of voice. And while you may be desperate for leads, providing quality, relevant content for “free” is where you should start in order to stand out. 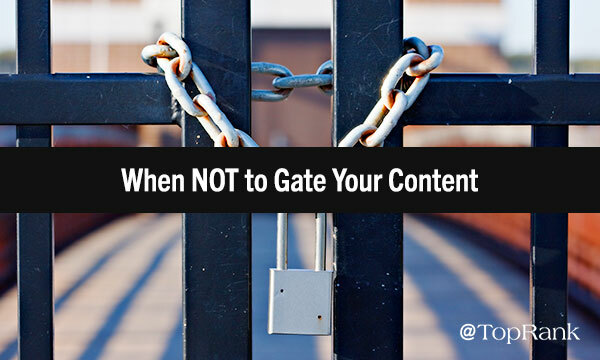 #3 – When you don’t have quality, ungated content to bolster a gated asset. When you gate a content asset, you’re signaling to your audience that what you’re offering is of premium value; content that requires a bit of payment to be enjoyed. So at the very least, you need to ask yourself if the content is truly valuable and worthy of that payment. In addition, you need to make sure that your “free” content is up to par, too. Think of it this way: Your ungated content serves as an appetizer for your audience, allowing them to gauge whether their entree, a gated ask, may be worth it. 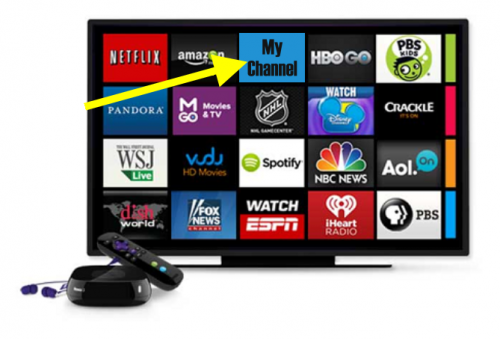 So, it’s important to ensure you have a strong ecosystem of ungated content to bolster any gated content. It’s as simple as that. #4 – When you don’t have a thoughtful nurture strategy in place. We’ve established that all marketers are hungry for leads and gated content helps satisfy that hunger. But once you get those new leads in, do you have a lead nurturing strategy in place to support them? If your plan only involves a standard “thank you” email and then sending the names off to sales, you’re not ready to gate an asset. You need to put together an automated email nurture first, as well as tracking and testing, to make sure you can optimize and personalize the experience for prospects. #5 – When you’ve co-created content with influencers. When you co-create a piece of content or asset with influencers, you want them to be proud of the finished product and ultimately share it with their followings. However, in our experience, if that content is behind a wall they’ll be far less likely to promote it. If your influencer partnerships were unpaid, some may feel uncomfortable with you “charging” for their content and expertise—especially if it comes as a surprise at launch. Or they may feel like they deserve further compensation, which you probably haven’t budgeted for. Your influencers have more skin in the game if your content is gated. Think about it. If they’re promoting a gated asset to their followings, they’re sending the signal that this content is premium. If at the end of the day they don’t feel it’s worthy of payment, they may not share. Now, there is a slight caveat to this. If you’ve developed an integrated influencer content campaign with multiple content types, a gated asset may be mixed in there. However, something needs to be left ungated not only to demonstrate value to your target audience, but also to make it easy for influencers to share. Gated content absolutely has a place in the digital marketing mix. But you need to be thoughtful and strategic when choosing which assets to gate—otherwise you run the risk of investing time and resources into content that stays mostly hidden. So, as you ponder whether to gate or not to gate, consider your objectives, market position and industry, current content ecosystem, nurture strategy, and influencer partners. This will help you see the bigger picture, while also enabling you to align your objectives and expectations. Looking for a way to build and bolster your content marketing strategy? Check out these seven steps for documenting your strategy. What other factors do you consider when choosing to gate an asset? Share your thoughts in the comments section below. The post To Gate, or Not to Gate? Answers to an Age-Old Digital Marketing Question appeared first on Online Marketing Blog – TopRank®.